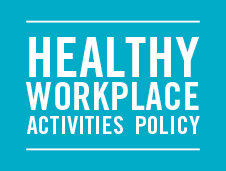 Taking a closer look at the Kaiser Permanente Workplace Activities Policy. Join us for a conversation with Maria Dee, National Director, Workforce Wellness for Kaiser Permanente. In this episode, we’ll take a closer look at how to Thrive in the workplace. From the physical environment, to best practices, to working with managers and supervisors, we take a closer look at activity in the workplace. This information is not intended to replace your healthcare professional. Neither KFHP, KFH or SCPMG receive any compensation for products or services mentioned on the show, nor do they endorse or promote any products mentioned. The full disclaimer can be found on our website.